You are a well-known lobbying advisor in Romania. Could you first explain to us what do you do exactly? And what is your personal definition of lobbying? We help companies define the political and regulatory risks faced by business operating in the region, including Romania. We also advise them devising and implementing strategies to deal with them in ways that helps ensure the long-term solutions. This sometimes involves lobby and advocacy campaigns. Lobby is the process of trying to convince someone, a person or institution, of our point of view. It is a general truth in all political systems that lobbying tends to be regarded by the public and to a lesser extent, by many policy makers - with ignorance, suspicion and often outright hostility. Romania don't make any exception. 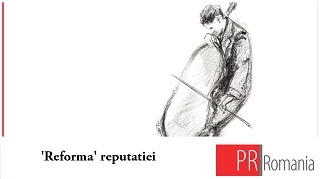 Could you offer us a short picture of the Romanian lobbying industry and its perception? 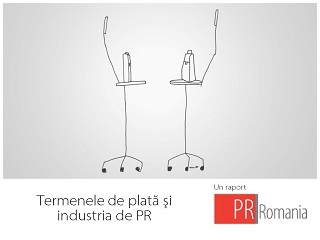 Lobbying in Romania is not so coherent to be called an industry. Various interest groups try to influence decisions and employ different methods. The perception of lobbying is that it is itself a somewhat mysterious activity – they are confusing the activity of lobby itself (trying to persuades someone of our point of view), with how it is carried out. The implication is usually that the convincing is done by offering something illegal like money. However, the media also propagates this misunderstanding, although it seems they can see the difference of lobby for “legitimate” causes, like the King or President lobbying for Romania’s membership of NATO and the EU. One of the positive effects of being members of the EU is that people are hearing more about business and industry, and indeed countries, lobbying for their interests in Brussels. 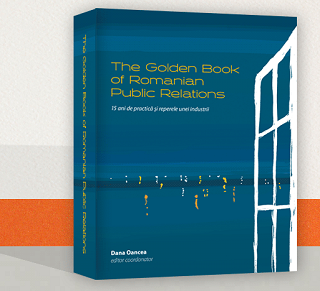 Many interest groups in Romania are only beginning the process of learning how to lobby effectively and professionally. On the other hand, there are many voices which are fighting for the regulation of the lobbying industry. Could you refer to the risks of regulating the profession before its professionalization? Interest groups such as business sector associations as well as NGOs are starting to be more professional, meaning more organized and prepared, and transparent in their efforts to fight for their interest, and including funding, from the state in Romania. Any regulation that occurs should be thought through carefully, as to its objective. If it is to fight corruption, then it will not succeed. If it aims to make the authorities more accountable, and encourage members of society to participate more in the decision-making process, then it has every chance to succeed. The latter case should focus on improving two elements, that is access and transparency. Examples of these are greater access to be allowed by the regulations for entry to parliament, and in ministries; better transparency will follow fuller and more consistent application of existing laws of access to information (freedom of information, and authorities being more proactive in seeking participation in decisions. There has been notable progress in the past few years, but much more needs to be done. Another example of transparency could be that parliamentarians declare who they have met, and in what subject, which visitors could declare as well. Any aspect needs to be looked at carefully. Some people would say: "Well, lobbying is fine as long as you do it on behalf of yourself or as long as you do it for an association or non-profit organization. However, once you start lobbying simply because you are paid for it, that is a problem, because that means that those who are able to hire lobbyists get an advantage or influence over those who can not hire those people.". Could you give an answers to those people? There will always be cases where “richer” entities have an advantage over those with less resources, this is not particular to lobbying. However, this is another reason why access to those taking and influencing decisions in the authorities should be made easier, and open to any interested parties, whether they be an individual citizen or a company or an NGO. Could you describe some types of lobbying techniques which are employed by various interest organizations in Romania? Most campaigns employ a variety of techniques. These can range from direct communications using PR (see the RMGC film about their gold mining project) to the milk industry using posters and ads to promote the goodness of their product. Others are more discreet, and rely on direct meetings with officials, and MPs and rely on carefully prepared position papers. An international survey of almost 4.000 firms in 25 countries undergoing transitions suggested that lobbying and corruption 'are clearly related phenomena' but that this is an inverse relationship - the more corrupt a nation is the less likely individual firms are to engage in lobbying. How would you comment this result? The enemies of corruption are transparency and access. The better a country performs on these criteria, then the more successful can professional lobbying and advocacy campaigns can be. Romania is progressing, however slowly, in this direction, and thus the lobby activity is increasing. Small and medium businesses face some difficulties to advance their interests. Is lobbying in Romania only a technique of big players? Lobbying as a technique can be used by al, of whatever size. The question for small companies is how to be more effective. The most frequent answer to this is to promote interests via a larger entity, like an association representing SMEs, local chambers of commerce, and also business sector associations (like in beer industry or the pharmaceutical industry. There are quite a few countries in Europe, particularly in continental Europe, which either do not have any regulation at all for lobbying or have a very limited framework for regulating this activity. Do you see any advantages in just leaving the process alone? Or is self-regulation a solution to improve the image of the profession and its legitimacy? There are some things to do to improve the environment for the lobbying sector, and these should be applied as soon as possible the industry should push for these. At the same time, more work needs to be done to promote the idea of legitimate promotion of interests, by interest groups, and explaining that companies do work to a code of conduct. This would help people to realise that those who do not declare them selves as lobbyists, could be more likely to undertake illegal activity, like bribing officials. Guy Burrow is a partner with responsibility for the Balkans. Guy was managing director of Shell Romania for four years and a founder member of Romania’s foreign investors association. He was chairman of the advisory board of the British-Romanian chamber of commerce. He has lived in Bucharest since 1991.